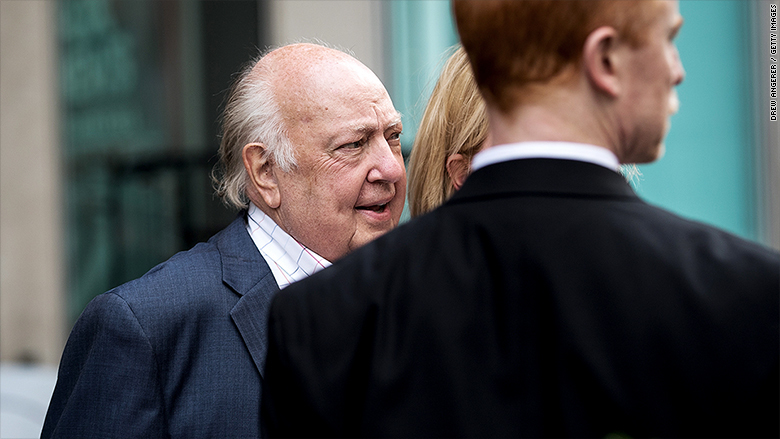 The fall of Fox News boss Roger Ailes is being developed as a miniseries for TV. Ailes biographer Gabriel Sherman will collaborate with "Spotlight" director Tom McCarthy on the project, which was announced Wednesday at Vanity Fair's New Establishment Summit. Sherman's book "The Loudest Voice in the Room" will serve as some of the source material. Sherman's wife Jennifer Stahl, an editor and fact-checker, will co-executive produce and write the series. McCarthy will be the primary executive producer. The miniseries is in development now, and it has already received financing from Blumhouse, the Hollywood production company led by Jason Blum. Blumhouse is also behind horror movies ("The Purge"), TV movies ("The Normal Heart"), and miniseries ("The Jinx"). What Blum, Sherman and McCarthy don't have -- yet -- is a distributor. The project has not yet been pitched to any television networks, a Blumhouse spokesman told CNN. The dramatic potential of the story is obvious. Ailes, a famous and feared GOP strategist, founded and led the Fox News Channel for twenty years. He resigned in July after ex-anchor Gretchen Carlson sued him for sexual harassment and other women stepped forward to allege harassment and abuse. The channel's parent company, 21st Century Fox, subsequently issued an apology to Carlson and paid a $20 million settlement. Ailes did not pay a penny of that settlement, however, and he has vigorously denied the allegations against him. On stage at the Vanity Fair event, Sherman speculated about possible casting choices for Ailes. He named Anthony Hopkins and John Goodman as two possibilities. During the same session at the event, Vanity Fair writer Sarah Ellison reported that Fox anchor Megyn Kelly, who reportedly told internal investigators about harassment by Ailes, has added an extra chapter about Ailes to her forthcoming book. The book, "Settle for More," is set to come out on November 15. Due to publisher time constraints, it was unclear whether Kelly would be able to address Ailes' sudden summertime resignation in the book. But Ellison said "she's added a chapter to her book" about Ailes. Kelly will also likely be asked about the former chairman during a round of interviews about the book.